Do you have an ugly patio or a yard that needs a little facelift? Our patio design guide can help guide you in choosing your options to spruce up that backyard or give your front yard a facelift. 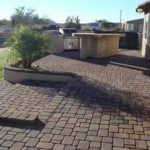 There are many options to choose from here in the Arizona desert when you are considering a patio design. 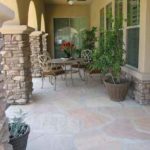 We have standard earth tone concrete pavers, natural stone travertine that comes in a variety of colors, sizes and finishes, or natural flagstone sheets mined here in Arizona. A standard 3 piece paver patio is a great option to make your yard stand out. You can use paver stones to create a paver patio, walkway, extended sitting area out in your yard, paver entryway, and paver borders. The 3 piece design creates a random pattern of varied sizes for a great look. Standard concrete pavers have unsurpassed strength and flexibility and provide unlimited possibilities to complement and enhance your yard. They can be installed in 2 piece also, depending you what you like. They come in earth tone colors and are a hot trend in landscape design. Concrete pavers can withstand weather, water and traffic. They are designed to withstand freeze – thaw conditions and are a good choice for hot or cold climates. Travertine pavers are a natural stone paver and come in a variety of colors and sizes. 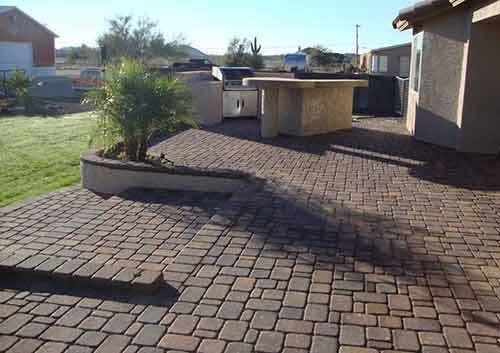 They are a durable paver and require little to no maintenance. Travertine pavers are a good choice for pool decking, patios, and courtyards. Travertine pavers come in a textured and porous finish, smooth and shiny polished finish, or smooth and matte finish. Travertine pavers are cool to the touch, durable, resistant to scratches and staining, and long lasting. A flagstone patio is beautiful anywhere in your yard. 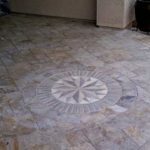 We can install your flagstone over top of your existing patio and extend it out into your yard with mortar in between the flagstone. Flagstone can also be installed in a sand base as individual sheets with 1/4 minus stone in between for a patios or BBQ base. 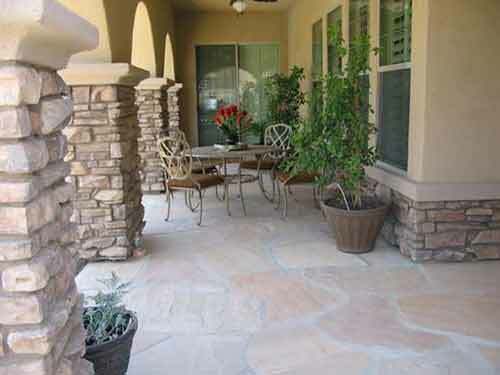 Flagstone is a natural stone that is mined here in Arizona. It is porous and beautiful. 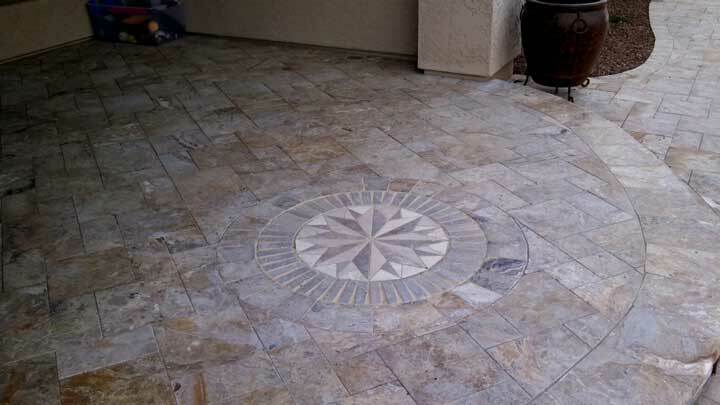 Flagstone does not need to be sealed, although many people prefer to do so. It can be used as a natural stone. Stains can simply be scrubbed off with a hard bristle brush.